This primitive Trail Camp is located at the end of a short spur trail off the Baldy Bowl Trail between the Ski Hut and Mt. Baldy. The closest water (which needs to be filtered) is at the creek near the Ski Hut. The trailhead for Spur Trail leading to Inconspicuous Campground. (Left leads down to Manker Flats, straight leads to trail camp). There are great views (better in my opinion than can be seen from the ski hut), this area is not exposed like it is on Mt. Baldy, and it is closer to water than it is on Mt. Baldy. Baldy Bowl Trail to Mt. Baldy: 8.4 miles, 3904′ gain. Baldy Bowl Trail and Devil’s Backbone Trail Loop to Mt. 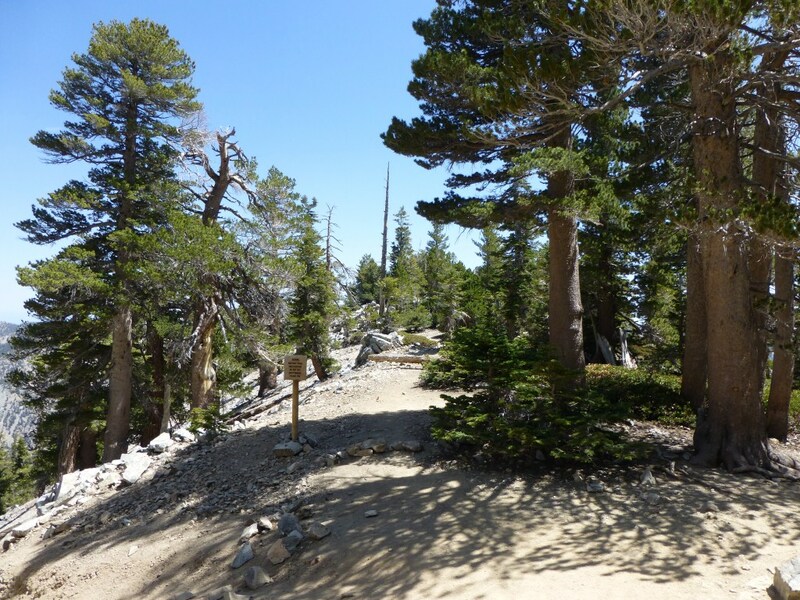 Baldy: 11 miles, 3904′ of gain and loss.